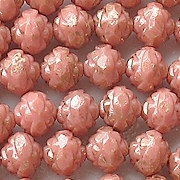 The beads in this category have a certain lustrous look to them. 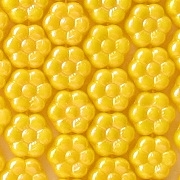 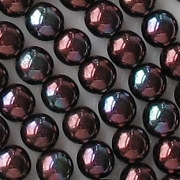 Some beads are synthetically coated, but most are not. 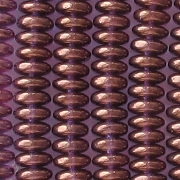 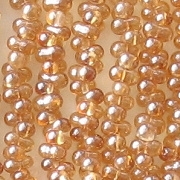 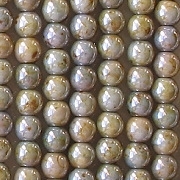 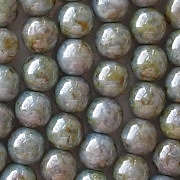 You will find similar beads in the Celsian–AB category. 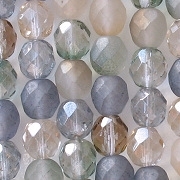 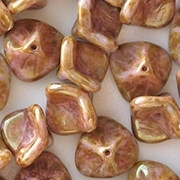 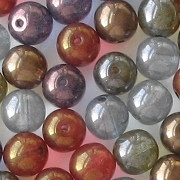 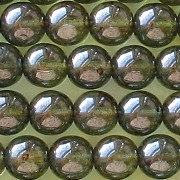 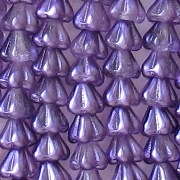 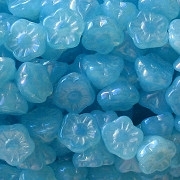 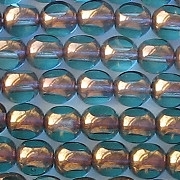 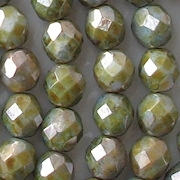 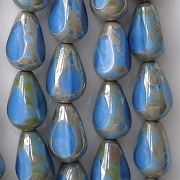 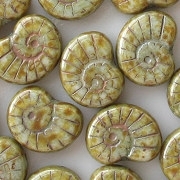 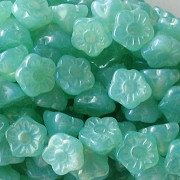 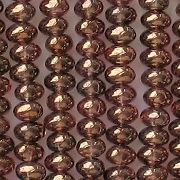 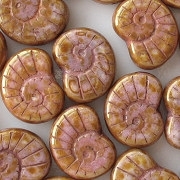 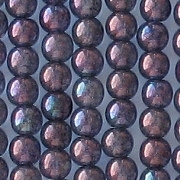 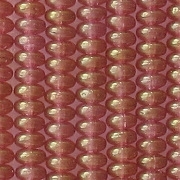 "Iris" (irridescent) beads have their own category. 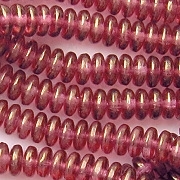 Some iris beads are lustrous, and some are not. 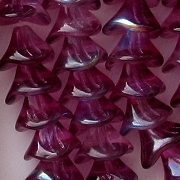 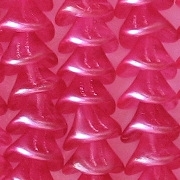 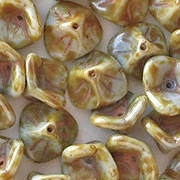 I am including light, translucent iris beads in this category, but all of the dark iris beads are in the Iris-Irridescent category. 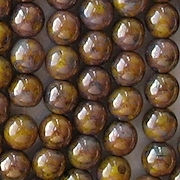 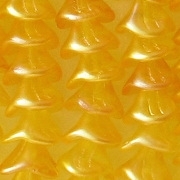 Also included here are "gilt" beads (golden luster). 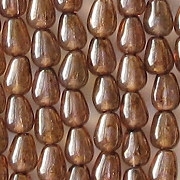 I thought about putting the gilt beads in the Celsian–AB category, but that category already has a lot of beads in it. 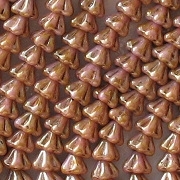 Gilt coatings are often more lustrous than golden, which complicates the question of where to put them.